A monthly mindfulness drop-in group for anyone who has done any form of mindfulness or meditation practice. Whether you are an experienced meditator or have only dabbled, all are welcome. This group aims to help you reconnect to your practice if you've had a break or to maintain motivation or simply to share your experiences and difficulties of meditation. Spaces are limited to six so please book-in at least the day before or check availability on the morning of the group. You can come to one group or all groups. No commitment is required. Delia Taylor-Brook is trained with the British Mindfulness Institute and is a Psychotherapist with 30 years of meditation experience. Refer to her website for further details www.counsellingwitney.co.uk; tel: 07899 891 992, email: deliatb1@gmail.com. Delia Taylor-Brook is trained with the British Mindfulness Institute and is a Psychotherapist with 30 years of meditation experience. 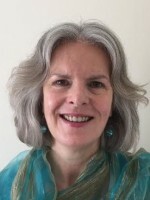 Refer to her website for further course details www.counsellingwitney.co.uk, tel: 07899 891992, email: deliatb1@gmail.com.